Flying time :About 8 minutes. 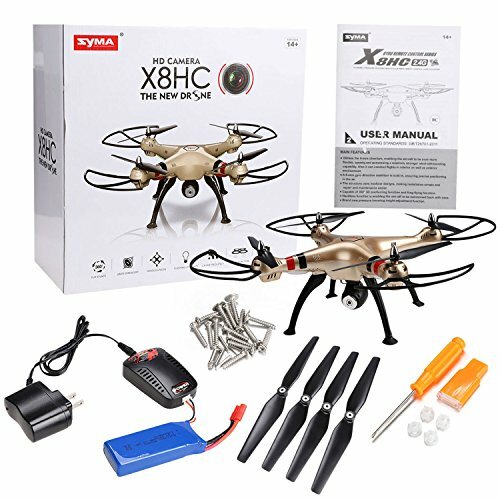 Voomall is a professional RC team, we show high-qualitied RC products which has been reviewed by ourselves. The only goal of skyrider is to bring fun to people all over the world,we hope all of you can enjoy yourself and share your happiness. World-class customer service, Lifetime technology support, All emails will be reply in 24 hours. No matter what problem you meet, just feel free to contact us. 1. 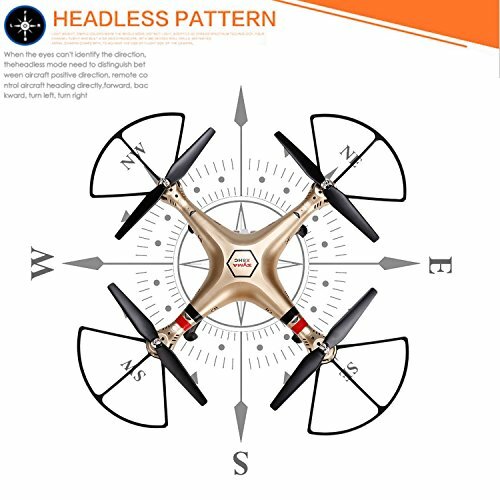 When taking off,there's a normal phenomenon that one propeller may not rotate with the other three at the same time, you have to adjust the throttle lever up to rotate off. 2. We strongly recommend that you achieve 360-degree flip in open areas due to the drone's large size. 3. 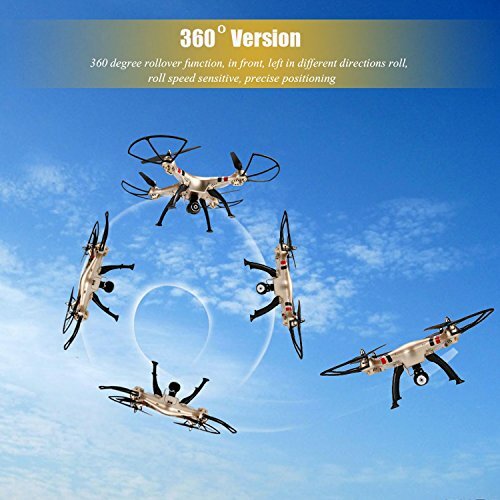 Drone will fly down under low-power condition,but the body will still rotate. Then you hove to pull the throttle stick to the end until the drone landed. 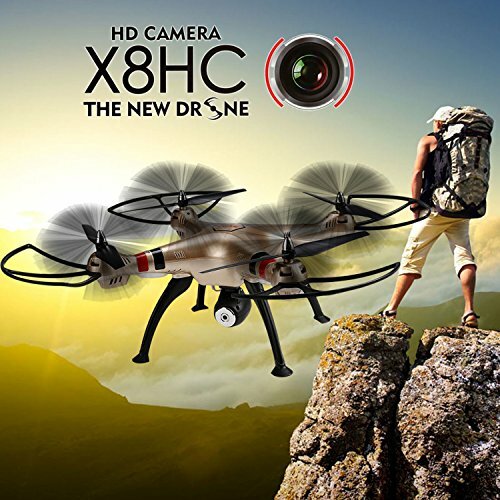 Equipped with 2.0 MP HD camera, Photograph: 2560 * 1440, Video: 1280 * 720.Picture: 2560*1440,Video:1280*720. Record the video fluently within 30 meters. 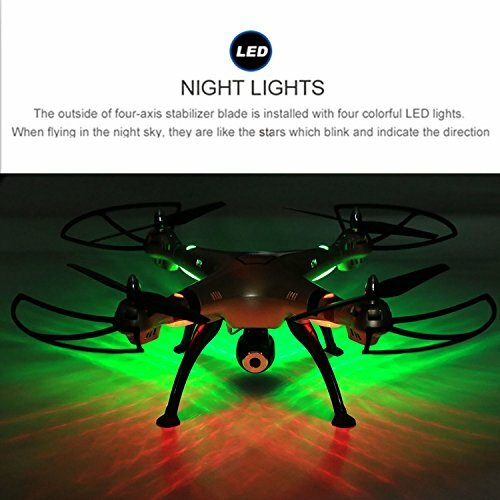 Smart Height Hold mode: After using the left stick to control the ascending / descending flight of the aircraft, free up the left joystick and the quadcopter will still hover at that height at which the stick is freed. 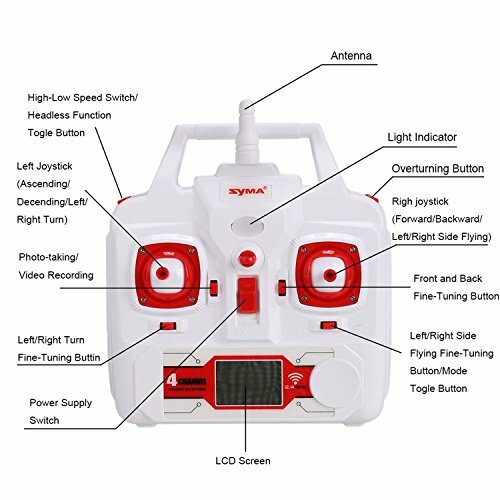 6-axis Gyro: Built-in 6-axis gyro, ensuring precise positioning in the air.